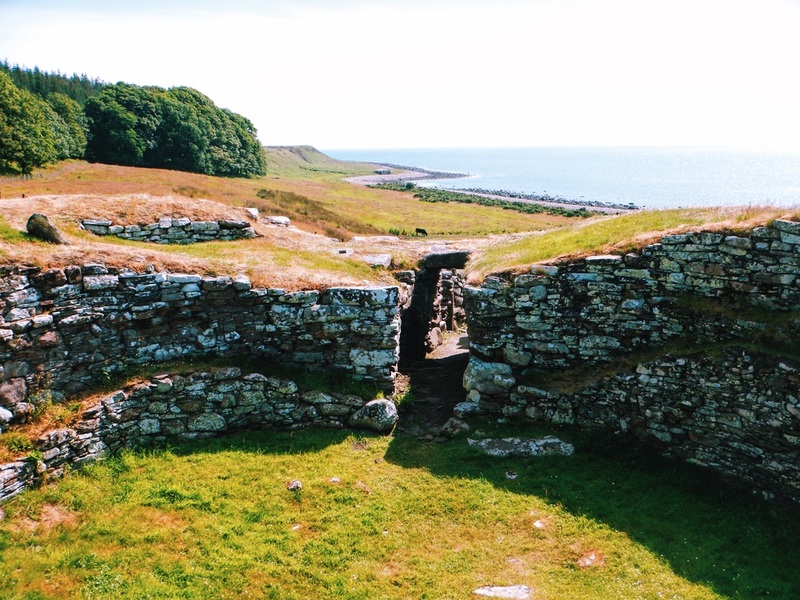 One of the places Grant took us on our drive up the Eastern Coast of the Highlands on the A9 was the broch at Carn Liath between Golspie and Brora. 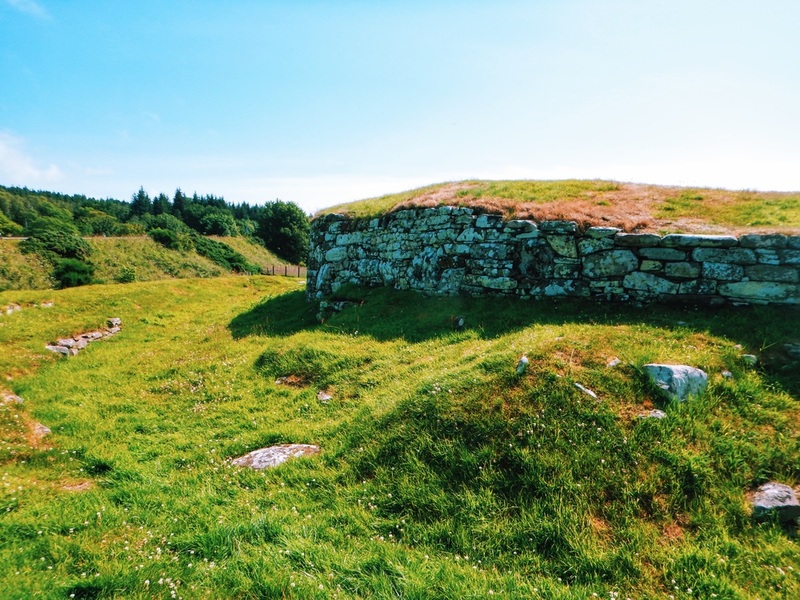 A broch is a round, stone-walled tower structure distinctive to Scotland. 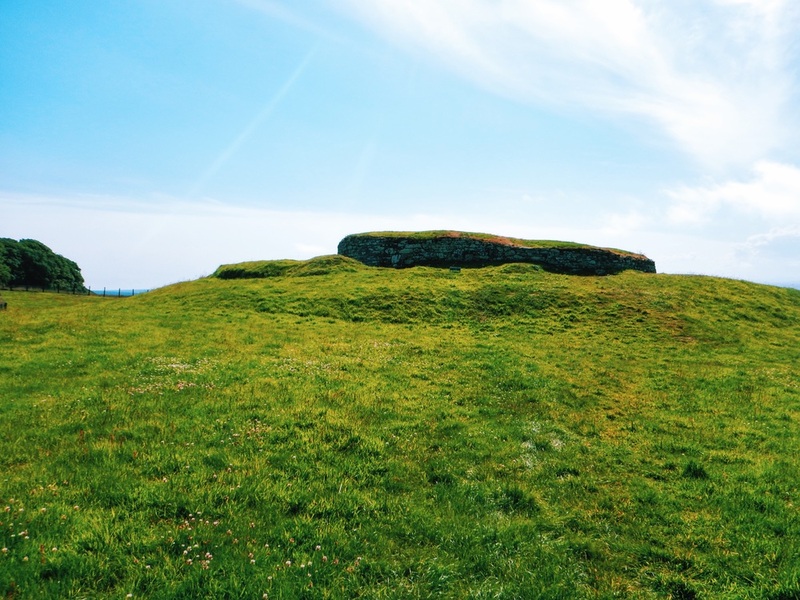 They are Iron Age structures that date back to AD 300 and sometimes earlier. The broch still had a narrow entrance passage that had stairs down to a basement level. The structures were more than likely used for defense because they were found near other village structures. We climbed all around the structure soaking up the beautiful views from the hillside. It was really incredible to think about how old the earth we were standing on was and to imagine the people who lived in that place thousands of years before we even dreamed of visiting it. We continued our history lesson further up the road near Helmsdale, a village that was the result of the Highland Clearances. In the 18th and 19th Centuries the land lords decided that they no longer wanted their land used for agriculture and forced inhabitants to move and create a new life elsewhere. We visited the Strath of Kildonan, where some of the most violent evictions took place. During this time is when lots of Scots left to go to Canada. It was heartbreaking hearing and reading about their story as we watched the haar roll in across the craggy hills that dropped steeply down to the ocean. You could only imagine the struggles those people had to endure trying to become fishers when they'd been farmers for eons.